Throughout her more than 35 years of practice, Doherty has been invested in the advancement of family law practice and women’s issues in the practice of law. An active member of the legal community, Doherty has held numerous leadership positions in the PBA, including chair, officer and council member of the Family Law Section and chair of the Review and Certifying Board tasked with developing and implementing a certification process for various practice areas. 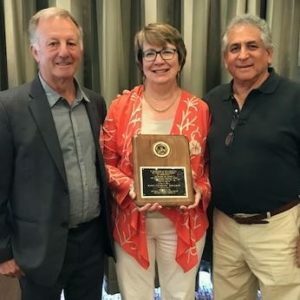 Last year, she was recognized with a Special Achievement Award for her service in navigating a divorce reform bill through the General Assembly — one of the many contributions she has made since joining the section in 1979. Doherty is currently a member at-large of the Commission on Women in the Profession Executive Council. Throughout her career, Doherty’s work and service have been recognized with several awards, including the PBA Commission on Women in Profession 2012 Lynette Norton Award, 2012 Women of the Year list by The Legal Intelligencer, 2009 Woman of Distinction list by Philadelphia Business Journal, 2008 Frederick Cohen Award for Excellence in Teaching and 2006 Margaret Richardson Award.